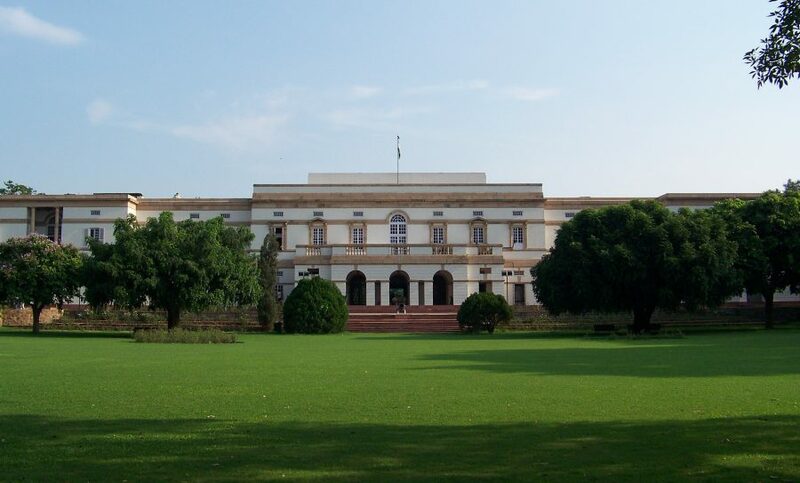 The main campus of the National Archives of India (NAI) in New Delhi holds the major official records produced by the Government of India during the colonial and independence periods, as well as some records from the pre-colonial Hindu and Muslim kingdoms that ruled parts of India. 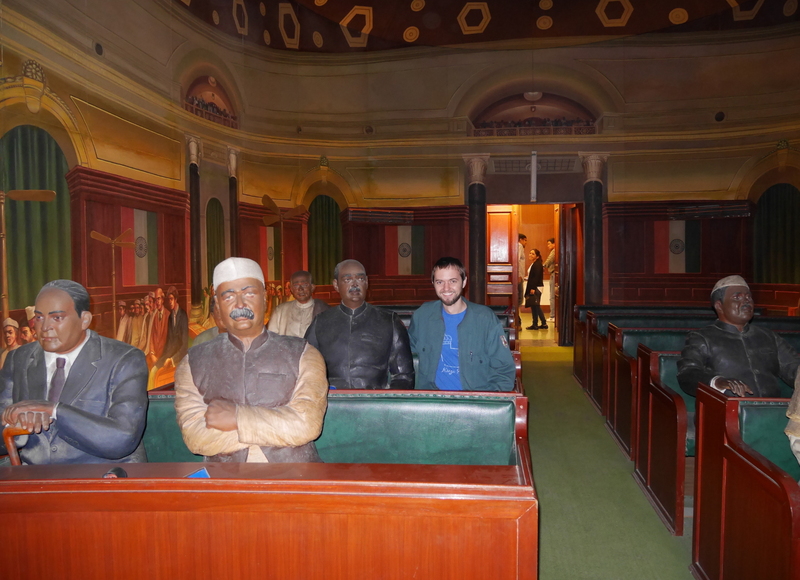 If you study Indian history, a visit to NAI will be essential at some point during your academic career. A year ago, I had the opportunity to spend two months researching at NAI, jointly funded by the Society for Historians of American Foreign Relations and my home institution, Auburn University. Getting registered and oriented at NAI took some time. The National Archives’ website has plenty of useful information, but there were some things I wish I had known as I was planning my visit. I have written this guide with hopes that that foreign scholars coming after me will find it useful for planning their research visits to NAI. The National Archives of India are located on the southwestern side of the intersection of Janpath and Dr. Rajendra Prasad Marg, just north of Rajpath in the heart of New Delhi. 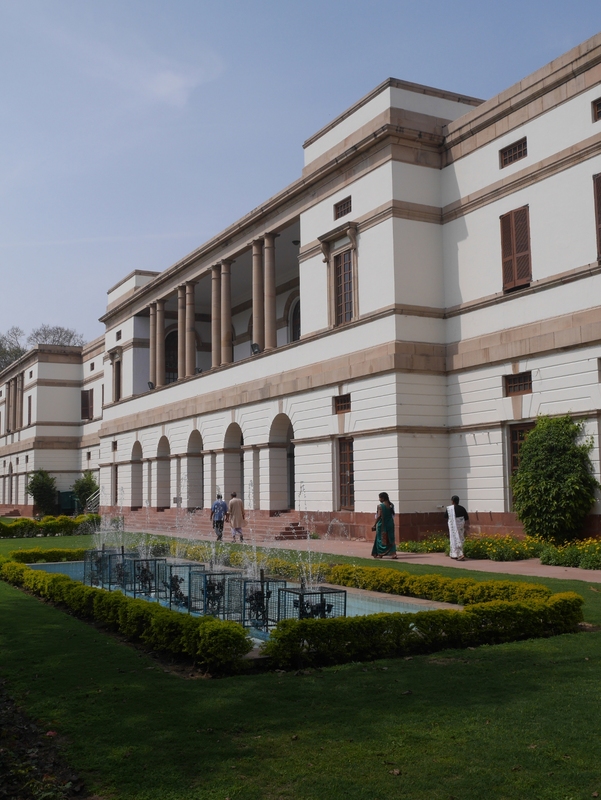 Like most official buildings in New Delhi, the Archives are located in a gated compound. The main gate is on Janpath; at the reception office to the right of the gate, researchers need to sign up for a free pass to enter the compound each day. There is also a back gate on Rajendra Prasad Marg. There are two main buildings inside the compound, simply called the Old Building and the New Building. The Old Building, completed in 1926, was designed by Edwin Lutyens, who also created several of New Delhi’s most prominent monuments, including Rashtrapati Bhawan and the India Gate. The Old Building is an elegant structure with columns on the outside and chandeliers inside, although it has something of an airy, neglected feeling, with pigeons flitting around inside the hallways. Apart from visiting the cashier’s office on the ground floor, and idle curiosity, a researcher at NAI won’t have much reason to visit the Old Building. The New Building, which is located at the end of the driveway leading in from the main gate, was built in 1991 in a plain post-independence style. It is where a researcher will spend most of his or her time. 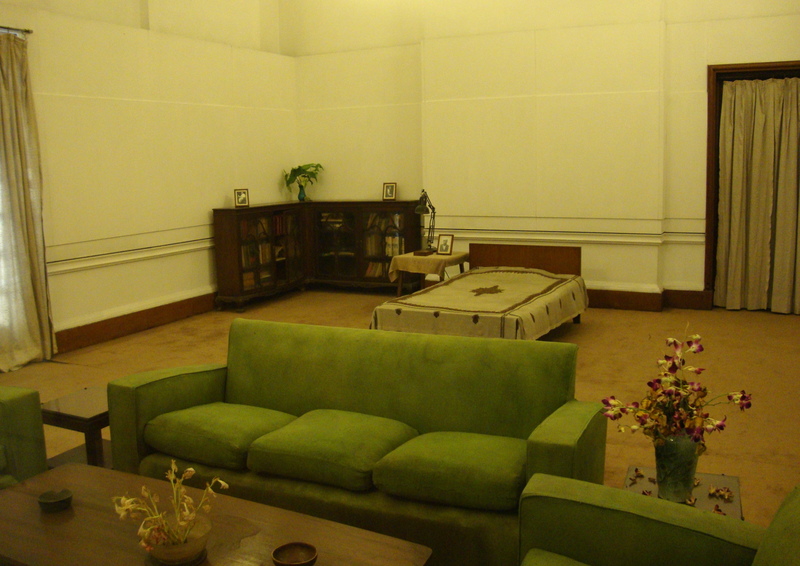 The reading room is located on the ground floor: take a left after the lobby, and then another left before the stairs. The NAI website says that researchers can keep their bags in lockers downstairs, but most people just stash their bags in a glassed-in area in the corner of the reading room. There are about twenty-five tables in the reading room. The room can get crowded in the afternoon, so be sure to get there in the morning before the rush. The NAI compound also includes a park and an outbuilding with a canteen, where you can get some of the cheapest food anywhere in the city (Rs. 10 for a plate of daal or rajma and rice). I preferred to eat at a dhaba just outside the back gate on Rajendra Prasad Marg. The dhaba does brisk business every day selling veg thalis for Rs. 40. The cooks vary the menu from day to day so it doesn’t get boring. The best way to reach NAI is by the Delhi Metro. From the Central Secretariat station on the yellow and violet lines, it is an easy seven-minute walk to the NAI front gate. Use Gate 2 to exit the metro station. From there it is a straight shot along Rajendra Prasad Marg, past Krishi Bhawan and Shastri Bhawan, two large government office buildings. Anybody can get a daily pass to enter the NAI compound, but in order to actually request records, you need to fulfill further registration requirements. For foreign nationals, NAI requires the following documents: 1) a notarized form from the diplomatic mission of your country in India, 2) a letter of introduction from your home institution, 3) a copy of the photo page of your passport, and 4) a copy of your visa. (A tourist visa is acceptable provided you aren’t doing fieldwork.) Gathering these documents can take some time, so be sure to plan ahead. If you are a citizen of the USA, you can get the form through an appointment with American Citizen Services, which you can sign up for by calling +91 011 2419-8000 or using an online form. American Citizen Services are accessible by appointment only. The requirements for citizens of other nations are probably similar; just check your Embassy’s website. 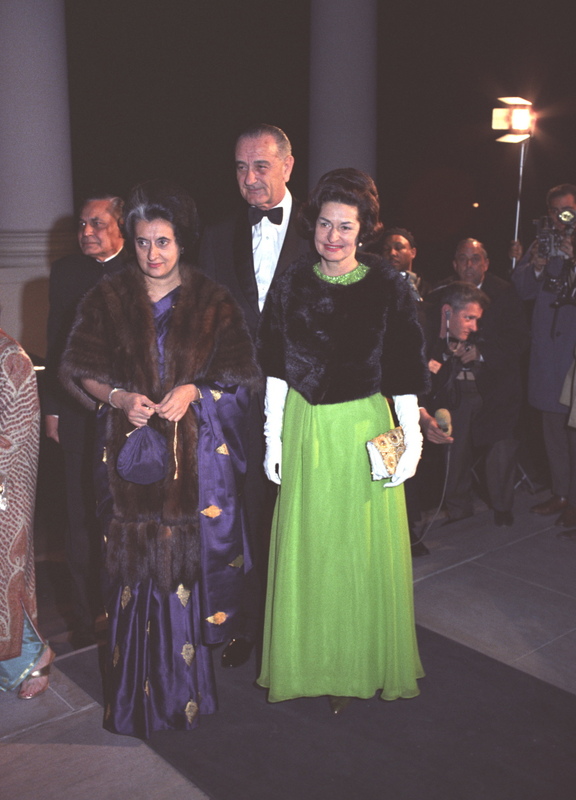 The US Embassy, along with the embassies of most other nations, is in Chanakyapuri, a post-independence southern addition to the plan of New Delhi. 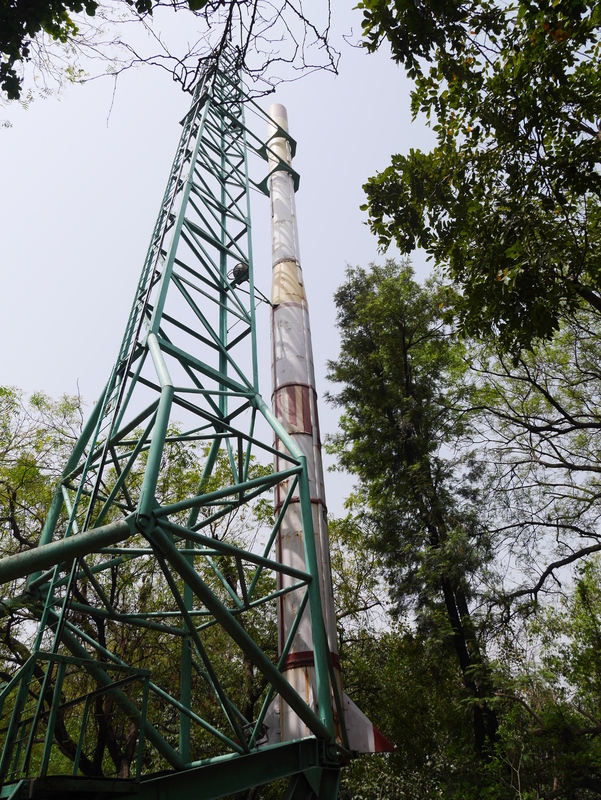 Chanakyapuri is not accessible by the Delhi Metro. To get there, an autorickshaw is probably your best bet, starting at either the Race Course or Dhaula Kuan metro stations. The entrance is on the southwest corner of the Embassy compound (just look for the crowds of people). Security regulations for the Embassy are very strict, but if you have a proscribed item such as a mobile phone, you can check it at an unofficial counter across the street (next to where more people are waiting on benches) for Rs. 50 an item. The Embassy letter (actually a notarized form) costs $50 or the current equivalent in rupees. For the letter of introduction, a printout of a scan is acceptable, although I recommend getting an original copy before you leave your home institution. Once you have all of your documents in order, present them in the reading room and fill out a form that they give you. Then you will be permitted to start requisitioning records right away. The NAI website mentions a researcher card, but this seems to be a metaphor, because I didn’t receive any physical confirmation that I had registered. Like every other archives I have been to, NAI is closed-stacks, and to access records you must fill out a requisition slip and wait for the staff to gather the requested records for you. Records are pulled at three set times during the day: 10 AM, 12:30 PM, and 3 PM. It takes about two-and-a-half hours for staff to fulfill a request. NAI has a computerized records catalog, which is accessible within the research room but not through the NAI website. Once you have filled out your request forms, place them in the box at the requisition counter. Archives staff do not need to sign off on your requests. Researchers are allowed to submit ten requisition slips per pull time, for a total of thirty a day. When the staff have retrieved your requested records, they will place them on shelves behind the requisition desk. You can go behind the desk yourself to pick them up. Sign on the form that comes with them and deposit the form in another box at the requisition desk. Now you are ready to start your research at NAI. At the end of the day, records do not have to be checked in behind the requisition desk. If you are done with them, return them at the records counter. If you want to keep looking at them later, place them on the hold shelf against the wall below the A/C units. Tuck a paper into your stack of records with your name and the date you will be done with your documents. The NAI website says that you shouldn’t hold records for more than a week. A sign in the reading room puts the limit at a month. In practice, scholars can hold their records for several months. Use of cameras or scanners (including mobile phone cameras) is against research room policy. This rule is strictly enforced. To get copies of records, you have to order them from NAI’s service, on a fee basis. The rate for plain paper copies is Rs. 6 a page. The catch is that NAI imposes a limit of one copy order per researcher per month, with a maximum of 500 pages each. Plan carefully. Step 1: Mark pages that you want to copy with paper strips supplied in the research room. Step 2: Fill out the two copy request forms in duplicate. Step 3: Ask the research room manager to calculate the bill amount. For plain paper copies, the bill will be Rs. 6 per page plus an additional Rs. 125 search fee. Step 4: Deposit the advance fee with the cashier. In the morning, go the the Nehru Room in the New Building; in the afternoon, go to the cashier in the Old Building. Step 5: Turn in your complete copy order to the research room manager. Step 7: Return to the copy room. The copy room manager will ask you to fill out another form. Step 8: Take this form to the cashier to settle the account. Step 9: Lastly, return to the copy room and supply the final receipt along with a photo ID. After the manager has run off a copy of these two documents, he will send you on your way with your completed order. I found the two months I spent researching at the National Archives of India to be immensely rewarding, on a personal and academic level. I hope that I will get to use the archives again in the future. If you found this guide helpful, or if you notice that any information needs updating, please leave a comment below.